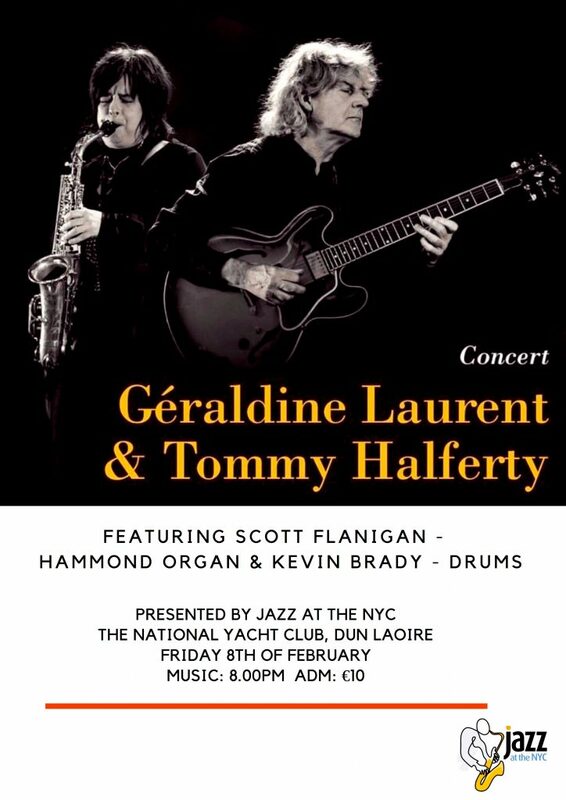 Leading Guitarist Tommy Halferty & his acclaimed Organ Trio featuring Scott Flanigan on Hammond, Kevin Brady – Drums continue their series of performances in Ireland with French Jazz Star Geraldine Laurent on Alto Saxophone. Tickets available at the door. A night of swinging music not to be missed!! !